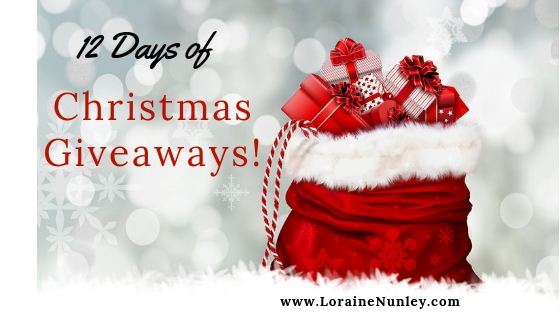 Welcome to Day 7 of the 12 Days of Christmas Giveaways for 2018! This giveaway is for the contemporary romance, Saving Justice by Susan Crawford. You can find out what I thought of it here. Today’s special word(s) is: of a book. Here are a few book recommendations to add to your Christmas list: Murder at the Mikado by Julianna Deering (mystery) and A Most Noble Heir by Susan Anne Mason (historical romance). What are some new books that you recommend we add to our Christmas list? The comment requirement for this giveaway is: Name a book (title from M-P) that you enjoyed reading this year. Mark Of The Raven by Morgan L. Busse for “M”, No Less Days by Amanda G. Stevens for “N”, Out Of The Ordinary by Jen Turano for “O”, Plain Outsider by Alison Stone. Extra “M’s” would be from the My Heart Belongs In… series from Barbour, Millie’s Resolve by Rebecca Jepson and Madeline’s Search by Kathleen Y’Barbo. The MAKING of Mrs. Hale by Carolyn Miller. Mayflower brides series, too! I enjoyed The Mortification of Fovea Munson this year. The Nightingale by Kristin Hannah. Even though it came out a few yrs ago, I first read it this summer. Fantastic book. On Magnolia Lane by Denise Hunter. LOL No problem Gail. 😉 Thanks for commenting. Auschwitz Lullaby and When The Heart Sings. One More Song to Sing by Lindsay Harrel. Miss Serena’s Secret by Carolyn Miller. I’ve loved all of her books.